Good afternoon and thank you, Mr. Chair / Madam Vice Chair and members of the committee, for inviting me to appear before you today. I am here on behalf of the Canada West Foundation where I am a policy analyst specializing in energy and electricity issues. The Canada West Foundation is an independent, non-partisan public policy think tank that focuses on the polices that shape the West, and by extension, Canada. Our CEO, Martha Hall Findlay, also sends her regards. We at the Canada West Foundation recognize that climate change is a real and significant threat to Canada and the rest of the world, and that the cost of inaction is unacceptable. We also know that the action we do take, needs be taken in the most cost-effective way possible. For this reason, we are very supportive of the central component of the Pan-Canadian Framework on Clean Growth and Climate Change – a price on carbon, which is the most practical and cost-effective way to reduce greenhouse gas emissions. We are also happy that the committee is undertaking this study on strategic electricity inter-ties. The Canada West Foundation recognizes that pricing carbon is not a catch all solution to achieving Canada’s greenhouse gas emissions goals in the most cost-effective manner possible. Complementary measures need to be taken to harness cost-effective emission reductions in instances where a price on carbon is not appropriate or practical. And as the committee has heard from multiple witnesses during these hearings already, a more integrated grid through increased strategic electricity inter-ties can be a strong tool in harnessing cost-effective greenhouse gas emissions by helping to integrate and share Canada’s vast clean energy resources. Yet, a carbon price does not mean inter-ties will be built, so it’s appropriate this committee is looking at it more closely. With that said, I think it is important to point out that the idea of investing in a more integrated grid is not new here in Canada – especially in Western Canada. There have been many discussions on this idea for at least the last 40 to 50 years – roughly how long the Canada West Foundation has been around. So there has long been a sense that this would be a good idea – but the question remains, why hasn’t it happened yet? Provincial electricity grids are still relatively independent of each other. There are numerous reasons why this idea has never gone anywhere. In talking with folks who have been in this industry much longer than I, I have learned that over the decades the Western provinces have looked at the idea only to reject it time and again. Many of these reasons are related to provincial fears of losing influence over their own electricity grids. At times it was rejected because some provinces feared cheap coal power from Alberta would flood into their markets and harm their own utilities. At other times, Alberta rejected the idea because of fears cheap hydro could put their coal power plants out of business. And now with a final twist of irony, we’re talking about the idea again because we’re looking to reduce emissions and phase out coal power plants. But this highlights the fact that the climate change imperative has injected new life into the idea of an integrated grid. It is very evident that we need to make big changes to the way we produce and consume electricity to achieve our climate goals. And as Bryson Robertson from the University of Victoria and many other witnesses have already said, improving the connectivity of our provincial grids is the key to taking advantage of the diverse energy resources we have across this country, and potentially a very valuable tool in meeting our climate goals in a cost-effective way. This is particularly true in Western Canada where some of the country’s best wind and solar resources reside between some of its best hydro resources. It is for this reason the Canada West Foundation believes an integrated western grid should be pursued in the West. But as the past has shown, the provinces will need to work closely together if an integrated grid is to become a reality. A sustained conversation needs to be held between the provinces to figure out how to share the benefits that an integrated grid can offer. 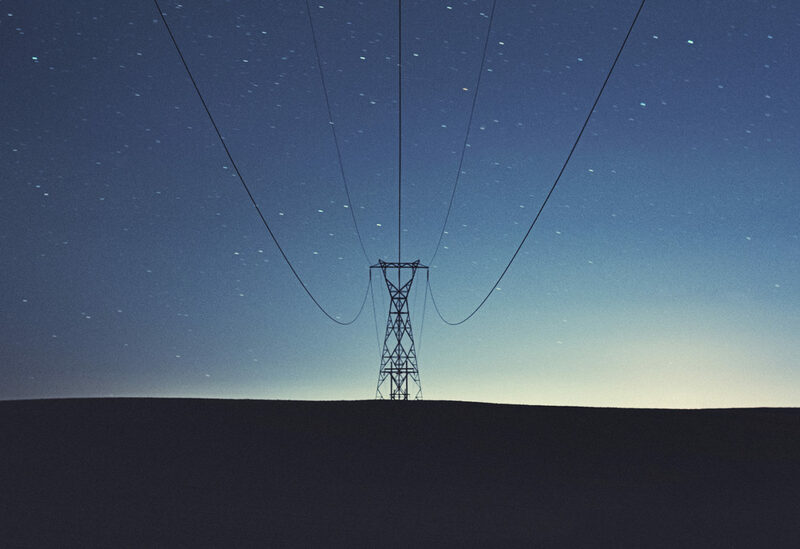 Fears that an integrated grid may wreak havoc on a province’s electricity market will need to be addressed, and the full costs and benefits of increasing the trade of electricity will need to be understood and communicated. The federal government has an important role to play in this. First, it can help provide valuable information in evaluating the costs and benefits of an integrated grid. While a more integrated grid can offer many benefits as Canada works to achieve its climate goals, these benefits are not guaranteed. Transmission infrastructure is expensive, and it gets more expensive over longer distances. Any investment in strategic inter-ties should only be built if the benefits will outweigh the costs of building that infrastructure. Natural Resources Canada and others are already working to address this information gap. We look forward to seeing the results of the Regional Electricity Cooperation and Strategic Infrastructure Initiative established by NRCan, which is evaluating the costs and benefits a subset of infrastructure projects including improved inter-ties between the western provinces. The second role government can play is with funding. Where strategic inter-ties do make sense, the federal government may have a role in financially supporting the project to the extent the interconnection will drive greenhouse gas reductions. Such projects would be good candidates for the newly created Canada Infrastructure Bank, which seeks to leverage private and institutional capital to fund green infrastructure. Early indications from conversations I and others at the Canada West Foundation have had suggest there is a good degree of interest from private investors in strategic inter-ties. In conclusion, in conjunction with a price on carbon, strategic electricity inter-ties and a more integrated grid can be a powerful tool to help achieve Canada’s climate goals. The idea is not new, but the climate change imperative makes it all the more important now, and the federal government has a key role to play. With that, I will conclude my opening remarks. Thank you very much and I look forward to your questions.